Mark J. 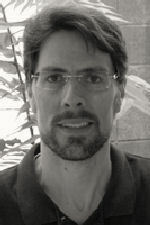 Van Ryzin was awarded a PhD in Educational Psychology by the University of Minnesota in 2008. His primary research interests are social, motivational, and developmental processes in adolescence, particularly in the educational context. He is especially interested in non-traditional school environments and their potential to address the diverse range of student needs and interests that are found among today’s youth. His work is influenced by ideas from developmental psychology, positive youth development, mentoring, and attachment theory. Before coming to the OSLC, he served as a postdoctoral research associate at the Institute of Child Development (ICD) at the University of Minnesota for both the Human Developmental Psychobiology Lab (Megan R. Gunnar) and the Minnesota Longitudinal Study of Parents and Children (Byron Egeland, W. A. Collins, & L. Alan Sroufe). Caruthers, A. S., Van Ryzin, M. J., & Dishion, T. J. (2014). Preventing high risk sexual behavior in early adulthood with family interventions in adolescence. Prevention Science, 15(Suppl 1), S59-S69. Leve, L. D., Harold, G. T., Van Ryzin, M. J., Elam, K., & Chamberlain, P. (2012). Girls’ tobacco and alcohol use during early adolescence: Prediction from trajectories of depressive symptoms across two studies. Journal of Child and Adolescent Substance Abuse, 21, 245-272. Van Ryzin, M. J., & Pellegrini, A. D. (2013). Socially competent and incompetent aggressors in middle school: The non-linear relationship between bullying and dominance. British Journal of Educational Psychology Monograph Series II, Number 9, 123-138. Van Ryzin, M. J., & Dishion, T. J. (2012). The impact of a family-centered intervention on the ecology of adolescent antisocial behavior: Modeling developmental sequelae and trajectories during adolescence. Development and Psychopathology, 24, 1139-1155. Van Ryzin, M., & Leve, L. D. (2012). Affiliation with delinquent peers as a mediator of the effects of Multidimensional Treatment Foster Care for delinquent girls. Journal of Consulting and Clinical Psychology, 80, 588-596. Van Ryzin, M., & Leve, L. D. (2012). Validity evidence for the security scale as a measure of attachment in adolescence. Journal of Adolescence, 35, 425-431. Van Ryzin, M. J., Mills, D., Kelban, S., Vars, M. S., & Chamberlain, P. (2011). Using the bridges transition framework for youth in foster care: Measurement development and preliminary outcomes. Children and Youth Services Review, 33, 2267-2272. Van Ryzin, M. J., Stormshak, E. A., & Dishion, T. J. (2012). Engaging parents in the Family Check Up in middle school: Longitudinal effects on family conflict and problem behavior through the transition to high school. Journal of Adolescent Health, 50, 627-633. Dishion, T. J., & Van Ryzin, M. J. (2011). Peer contagion dynamics in problem behavior and violence: Implications for intervention and policy. ISSB Bulletin, 60(2), 6–11. Fisher, P. A., Van Ryzin, M. J., & Gunnar, M. R. (2011). Mitigating HPA axis dysregulation associated with placement changes in foster care. Psychoneuroendocrinology, 36, 531-539. Pellegrini, A. D., Van Ryzin, M. J., Roseth, C., Bohn-Gettler, C., Dupuis, D., Hickey, M., & Peshkam, A. (2011). Behavioral and social cognitive processes in preschool children’s social dominance. Aggressive Behavior, 37(3), 248-257. Van Ryzin, M. J. (2011). Protective factors at school: Reciprocal effects among adolescents’ perceptions of the school environment, engagement in learning, and hope. Journal of Youth and Adolescence, 40, 1568-1580. Van Ryzin, M. J., Carlson, E. A., & Sroufe, L. A. (2011). Attachment discontinuity in a high-risk sample. Attachment and Human Development, 13, 381-401. Van Ryzin, M. J., Johnson, A. B., Leve, L. D., & Kim, H. K. (2011). The number of sexual partners and health-risking sexual behavior: Prediction from high school entry to high school exit. Archives of Sexual Behavior, 40, 939-949.